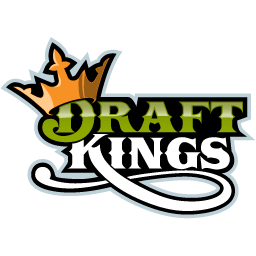 My friends over at DraftKings (similar name but very different than what I do) have some great fantasy sports games for real cash that give you a chance to put your skills to the test in a really fun way. I strongly recommend that you try it out: no bait and switch, no nonsense, just the chance to play a game with some nice guaranteed money included. Give it a shot and let me know what you think. It's been clear for some time that the Bucs, from all indications, are planning to use the #1 pick on Winston. Quarterback is a colossal need for the team, and once they cut Josh McCown earlier this year, it became clear that the Bucs were going to look to the draft for their next quarterback. Supply-and-demand economics of the NFL will likely drive either the Titans or a team trading up to use this pick on Mariota. A bit of late fading on USC DL Leonard Williams made it easier to decide on this projection down the stretch. It's an interesting scenario for Oakland if Williams is still on the board, since it would seemingly take a special defensive player like him to convince the Raiders to not go with a wide receiver here. This is conjecture, mind you, and the Raiders aren't as easy to read now as they were during the post-Gruden Al Davis era. But Williams would be an ideal fit with Oakland's defensive scheme and could make things very interesting for teams below wanting Alabama WR Amari Cooper or West Virginia WR Kevin White. I'm a huge fan of Beasley, and if he lives up to his athletic potential, the sky is the limit for him in the NFL in my estimation. Washington could also opt to go wide receiver here or potentially trade down with a partner wanting its pick from this year's WR crop. There was a time when it seemed like the Jets could potentially sit here and have Mariota fall into their lap. That time has passed. There are several options for the Jets in this scenario. But Cooper is a consistent producer who proved at Alabama that, even with defenses keying on him at all times, he could still put up strong stats in spite of him being defended so carefully. Defensive line is a huge need for the Bears, but they might not be able to pass up a special talent like White at this spot. Washington DT Danny Shelton will likely also be in consideration here. This is higher than many see Dupree going, but he seems like a great fit for an Atlanta team that could use a player with his overall skill set. I've seen him play twice in person and he impressed, even when targeted by double-teams and schemes. The drop by Randy Gregory and Shane Ray late in the process helped fuel his late ascent up in this mock. Offensive tackle is a need spot for the Giants, but there has been enough late buzz on Peat to move me off of Iowa OT Brandon Scherff from this spot. It's very much a possibility that the Rams will trade down from here, but if they keep the selection, adding a versatile offensive lineman like Scherff could be a strong move. Xavier Rhodes is an outstanding cornerback talent, but he can't do it alone. Waynes has emerged as the top cornerback prospect on most boards and would be a logical selection for the Vikings. Dream scenario here for the Browns, who desperately need to land a top-tier wide receiver prospect who will actually be on the field this fall. From all indications, the Josh Gordon era in Cleveland is over. There is plenty of speculation that the Saints will possibly look to trade up to get Vic Beasley. If they don't, Gregory going here has potential. He's a top five talent who failed his Combine drug test (after reportedly failing multiple drug tests at Nebraska), a test he knew well in advance he would have to take. After suffering a torn ACL in his left knee last season, it seemed that Gurley might fall from a sure-fire first-round selection to day two. There hasn't been a running back taken in round one since 2012, and the draft of ten years ago with three RBs going in the top five slots is something you would never see today. But Gurley is seen by many evaluators as a special player. There is an inordinate amount of buzz linking Gurley to Miami with this pick. This looks like a classic move to draw out potential trade partners, but it also seems like a plausible option for the Dolphins. With retirements and departures ravaging a once-great defense, the 49ers face a daunting rebuilding challenge. Having Shelton fall to them at this spot would be a good start. One important rule of mock drafts: the further you move from the top of the draft board, the less likely a team is to take a player to fill a perceived need spot with a given pick. With that said, Houston cut longtime center Chris Myers earlier this year. And while they could move guard Ben Jones to center with hopes of Xavier Su�a-Filo bouncing back from a disappointing rookie season, there is no doubt that adding Erving would be a major boost for the team's interior offensive line. Brown would fill a need for the Chargers and boasts remarkable quickness for his size. With the way the NFL game has tilted toward passing attacks (for reasons I've outlined on here ad nauseum), 3-4 defensive ends with strong pass rushing ability, which Brown has, are more valuable than ever. It's quite incredible that the Chiefs played 16 games last season without a single wide receiver touchdown reception. That has to change if the Chiefs hope to return to the playoffs, and while signing former Eagles WR Jeremy Maclin was a good start, adding a player with Perriman's rare speed could be the approach taken by the Chiefs here. Joe Thomas is a great left offensive tackle who sadly doesn't get the attention he deserves due to Cleveland's problems, but right tackle is a need spot. To point, there is a growing line of thought that the Browns will use one of their two first-round picks on a tackle. Predicting what Chip Kelly will do next is no easy task. And while this might seem a little bit too convenient with Armstead being an Oregon guy, he would be a great addition to Philadelphia's front seven on defense. Perhaps a slight steal at this spot, Goldman would fill a need for the Bengals on its defensive line, particularly in generating pass-rush pressure. It would seem that Goldman would be a natural fit in Cincinnati's defensive approach. It's a strange thing with Collins, who was seen as a top ten prospect until rather late in the process. He would definitely fit a need for the Steelers, who saw longtime standout safety Troy Polamalu retire this offseason. There has been a late buzz behind Johnson's NFL prospects, with some actually preferring him to Michigan State's Trae Waynes. Detroit has a number of options in this spot, and they could find themselves in the midst of a run on defensive secondary players. There are some who are down on Peters due to his conflict with the new coaching staff that inherited him at Washington in the 2014 season. But he has elite skill and, in my estimation, is as talented as any cornerback prospect in the draft. Last year's abrupt retirement by OT Jordan Gross created a hole that the Panthers never adequately filled. Humphries has been a player on the rise and could be a strong fit with the Panthers. Receiver is a need spot for Baltimore with Torrey Smith exiting via free agency, and Strong could be an excellent choice late in round one to fill that need. He was great fun to watch last season in some of those Saturday night games for Arizona State. With so much running back talent likely to be in the mix for rounds two and three, filling another need here makes sense to me. Greg Hardy could miss as many as the first ten games of the season, and the Cowboys could use some young talent at the position that can perform right away. Smith was overshadowed to a degree in the media by teammate ILB Benardrick McKinney in Starkville, but Smith could end up being the first Mississippi State bulldog taken in this draft. Perryman has emerged as the top inside/middle linebacker prospect for this draft, and he would fill a need for the Broncos. Denver clearly knows the Peyton Manning era is entering its stretch run, and it would seem likely that they would take a "GM on the hot seat" approach to the draft to ensure that they field the best team possible for 2015. Perryman going off the board one spot before here might ruin the Colts' plans, but it's also critical for the team to do everything it can to protect Andrew Luck. Adding a top inside linebacker would allow Clay Matthews to return to his natural 3-4 OLB spot instead of having to play inside like he did for so much of last season. Let there be no doubt: losing Jimmy Graham really hurt the Saints. And there is no replacement for him in this draft, though if there were he wouldn't fall this far. But DGB has similar size and freakish receiving ability. The ghosts of his transgressions at Missouri still haunt him, but if he can avoid trouble there is no doubting his skills. There is no figuring out Bill Belichick, but you can count on him to pay players based on future expectations and not past performance. And with Vince Wilfork gone to Houston, it's out with the old and in with the new, who perhaps in this case might be Davis.